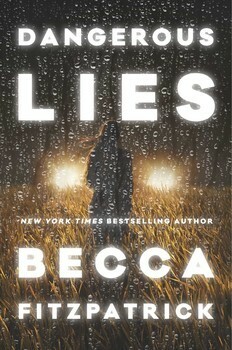 I am currently reading Dangerous Lies by Becca Fitzpatrick. An angry rap shook the motel room door. I lay perfectly still on the mattress, my skin hot and clammy. Beside me, Reed drew my body to his. I'm pretty much starting this blind. I haven't read the blurb, I haven't read any reviews... I'm sure I've read this author before but I couldn't tell you which book. So currently, I have no expectations. I don't know what to think. But I do like this opening paragraph. It's quite powerful. It's making me want to read on. I have been banned from reading Becca Fitzpatrick by my teens. Think I may have to try one without ever speaking of it. Sounds great. 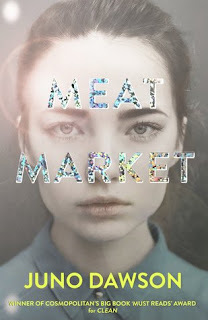 I am definitely curious about this author and her books...I like the sound of this one. I like the opening too. Does she suspect who might be at the door? I'd keep reading to find out what's going on. My Friday post features THE TIME IN BETWEEN. Bookish Blogging Resolutions For 2015.